@MimiLuu2000 defeats a 425-entry field to take down the 2017 WPTDeepStacks Main Event. 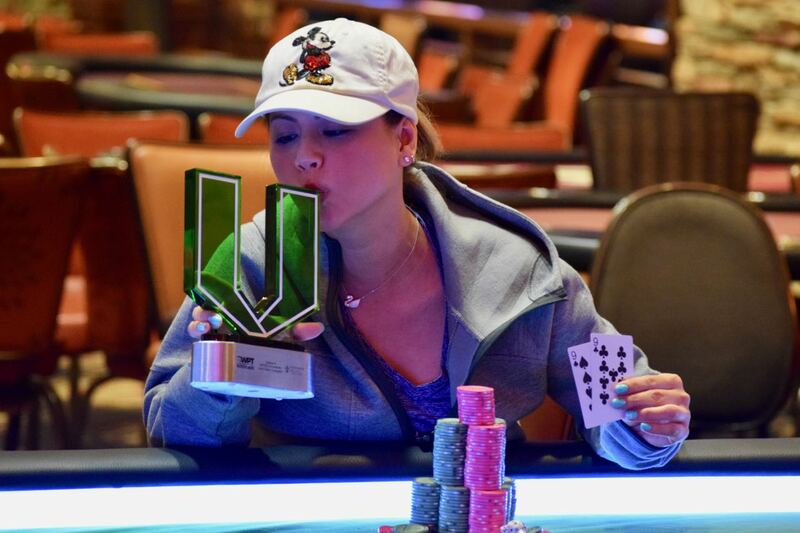 Luu earns -as part of her title - an entry in to the $1 Million Guarantee WPTDeepStacks Season Championship being hosted here at TVPoker Room in December. 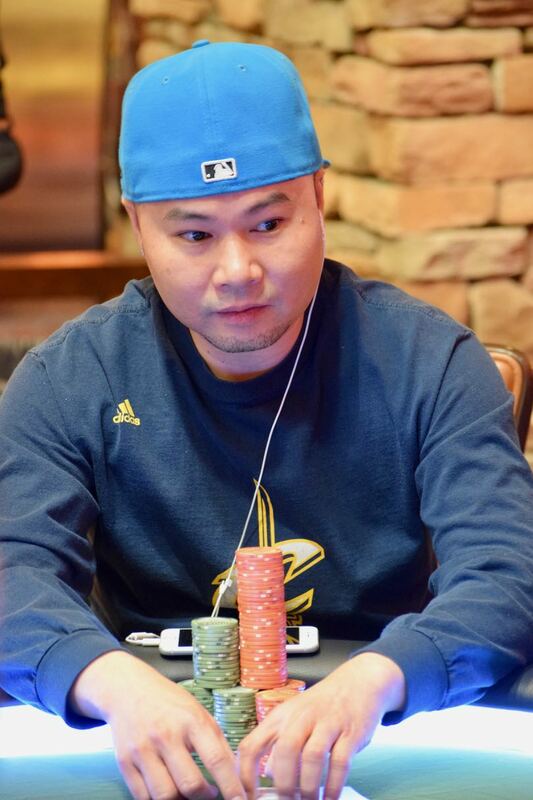 James Maxey moves all in and Mimi Luu makes the call. 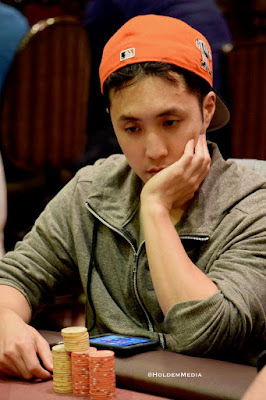 No flush draw comes, no King comes, and Luu eliminates Maxey in second place. Luu earns the title, the trophy and the entry in to the $1,000,000 Guaranteed WPTDeepStacks Season Championship hosted here at Thunder Valley in December. @MimiLuu2000 opens for 325,000, WIlson Tolon makes it 1.4 million, Luu moves all-in and Tolon calls. Luu has 3/3 and Tolon A/4. The turn gives Tolon a gutshot wheel draw, but the river in a 7 and Luu eliminates Tolon in 3rd palce. The heads-up match between Luu and James Maxey starts up here in a few minutes. 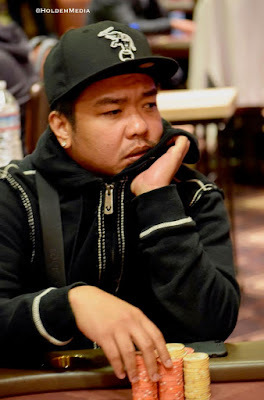 A three-way all-in and chipleader Wilson Tolon not only has Kenny Lee and Niv Decalo covered, he has a better hand than both, and there's a double-elimination. Lee takes 5th and Decalo (above) gets 4th. 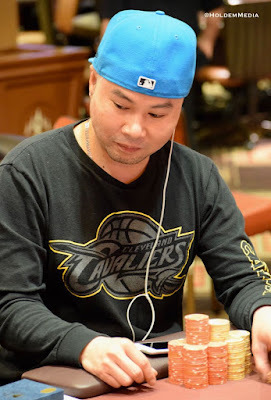 Tolon moves to 6.4 milly in chips, battling Mimi Luu and James Maxey for the title. 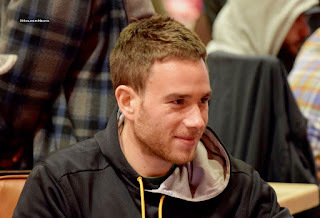 One hand after doubling up short-stack Niv Decalo, Dann Turner (above) gets his remaining chips in the middle after flopping the nut flush draw against the trip aces of Wilson Tolon. 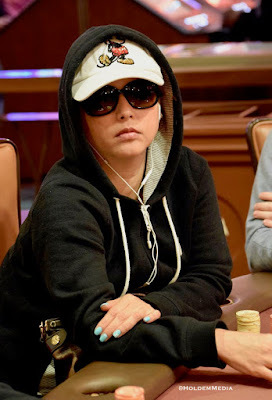 Lynda Hernandez (above) was one of the final 6 players in Event 12 of the WPTDeepStacks series - $100 TVPokerRoom Finale - to cash out in a 6-way closeout to the tournament series. Here are the Finale's final payouts. 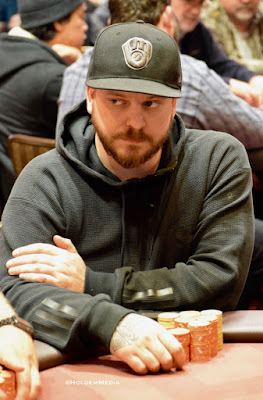 James Maxey shoves his last 3BB from UTG, folds around to Kenny Lee who is pretty much committed to a call even though he has 35o. Maxey holds and doubles. Maxey then 3-bet shoves over an open from Mimi Luu and Luu folds. 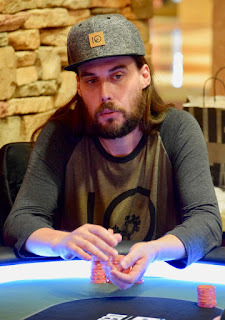 Matt Boddorf and Chris Hinchcliffe are two of the four top stacks on first break in the $100 TVPokerRoom Series Finale. All four players received Main Event Dining Certificates good for a free buffet or discounts at other Thunder Valley restaurants. 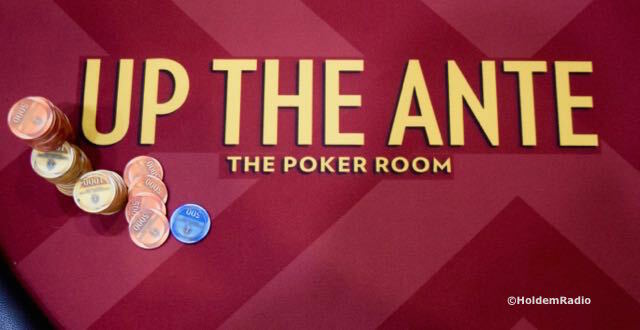 The four chipleaders on next break all receive two tickets to any on the Thunder Valley Summer Concert Series events. Today's final event in the 12-tournament WPTDeepStacks series drew 70 entries. Here's all the numbers. 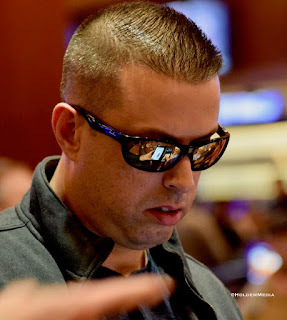 @MimiLuu2000 opens for 135,000 and TJ Eisenman comes along from the BB. 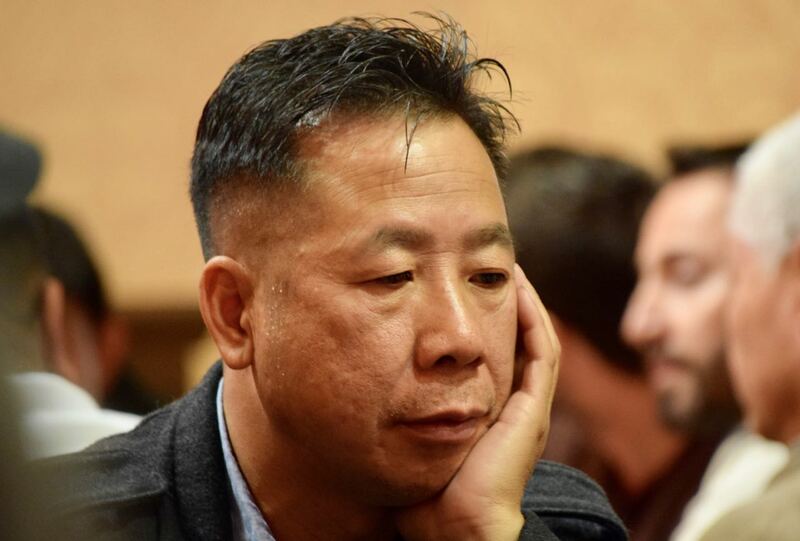 Eisenman check-rasies all-in after Luu makes it 150,000 more on the 7-J-6 flop. The dealer counts out 195,000 more and Luu calls, turning over J-T only to see Eisenman has bottom two with 6-7. 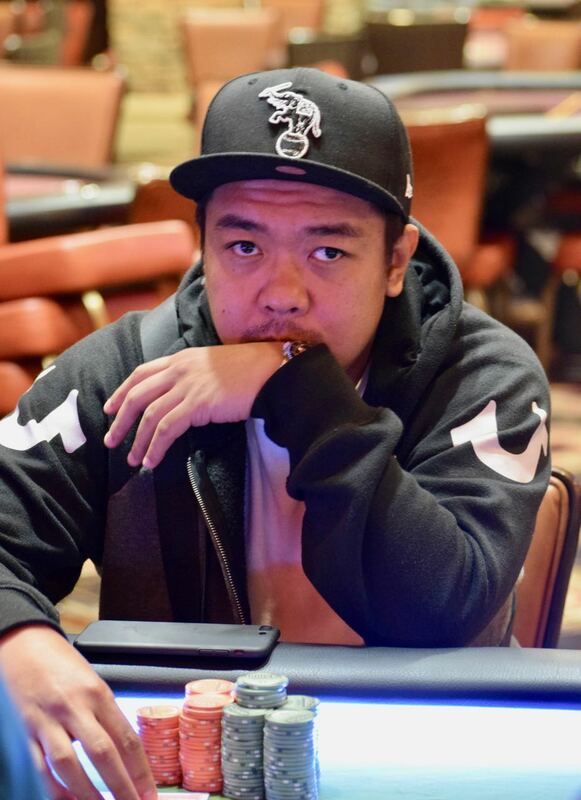 The turn is a blank, but this brutal final table continues as Luu rivers a Ten for the knockout. In the first few hands of the @WPTDeepStacks final table, Prasad Inamdar runs J/J in to the Q/Q of Kenny Lee, and 2013 TVPokerRoom Players Series Champ Mario Sequiera (above) runs Q/Q in to the K/K of Mimi Luu. Both players are eliminated and we're already down to 7. Inamdar cashes for $8,300 and Sequiera takes home $10,860. 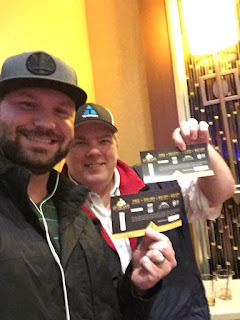 $85,900 #FTW in today's WPTDeepStacks $1100 Main Event that drew a 425-entry field for tis two starting flights. 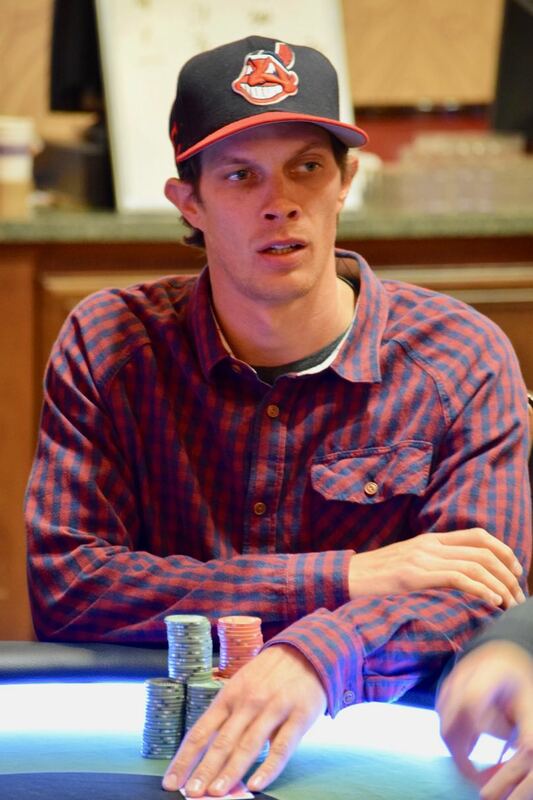 Dann Turner leads the way with 2.3 million as play begins. @Greenblatt1 moves all in for his last 560,000 on the first hand at the 10-handed unofficial final table. James Maxey snap-calls and everyone else gets out of the way. Greenblatt has QQ but he's run in to Aces and it looks as though Maxey barely has Greenblatt covered. 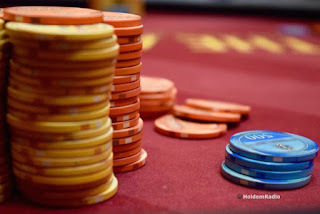 The 9-J-4-9-2 flop means the aces hold, and the dealer counts down the stacks, finding that Greenblatt is covered. He is the final table bubble, cashing for $7,020. Play is complete for the night. 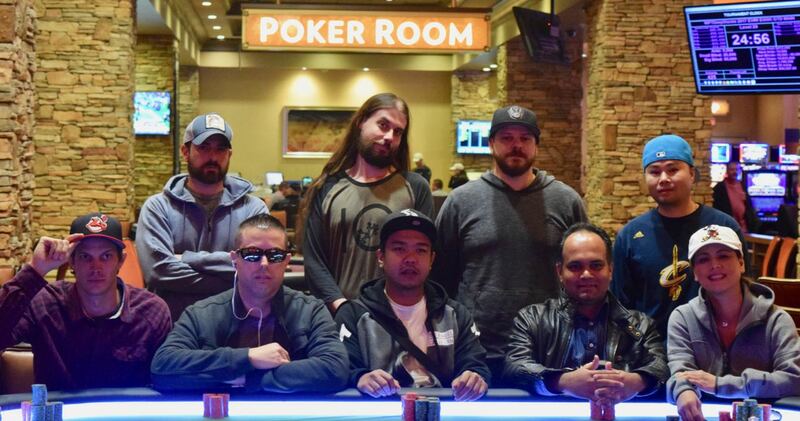 The final nine come back tomorrow at noon to play down to a champ taking home $85,900 - including a $3,000 package to the $1,000,000 guarantee WPTDS Season Championships being hosted here in December. 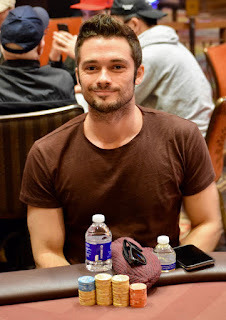 Players are taking their new seats, the redraw for the last table has taken place after Jon Dull's elimination in 11th ... one 10-handed table, one more knockout before Monday's Final Table is set. 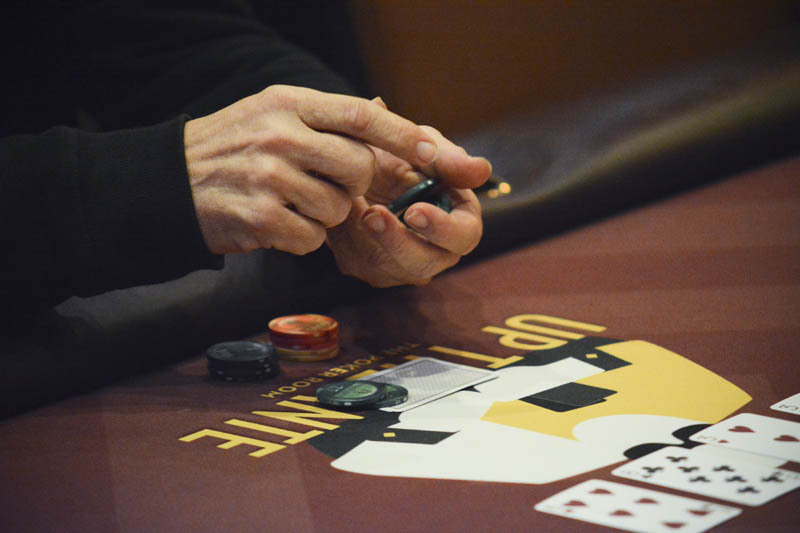 Chipleaders on breaks get bonuses in tomorrow's TVPokerRoom finale - a $100 Hold'em with a $5,000 guarantee. Top 4 stacks on first break receive the same meal vouchers Main Event players receive. 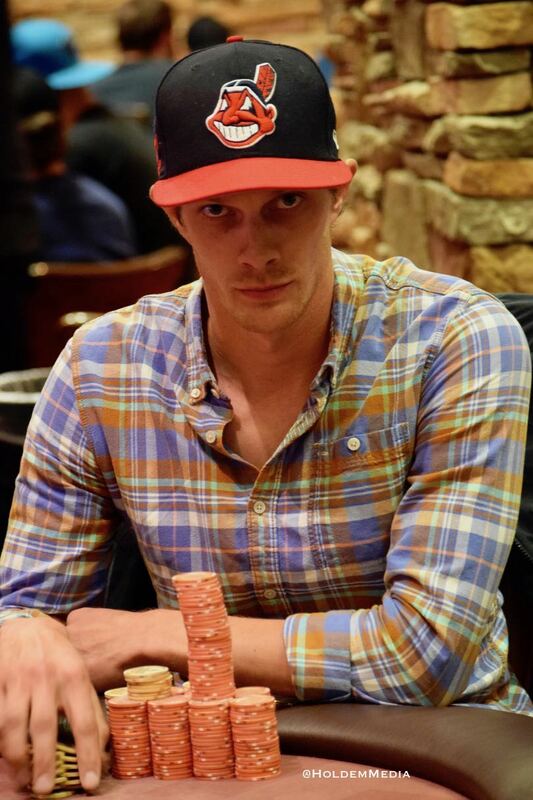 Top stack on third break gets a Thunder Valley hotel room stay. 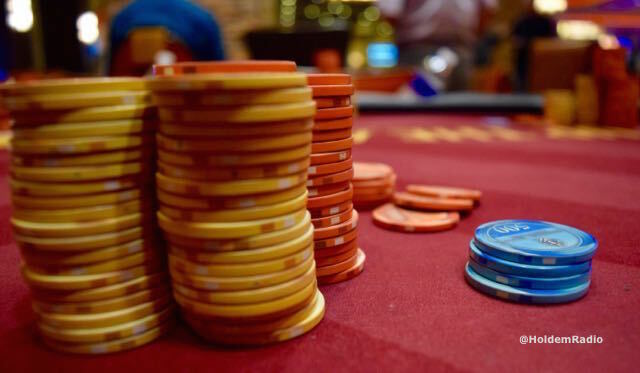 Come close out the WPTDeepStacks series with us tomorrow. Sunday night's Event 11 in the @WPTDeepstacks Series - $160 with $50 bounties - drew 100 entries. 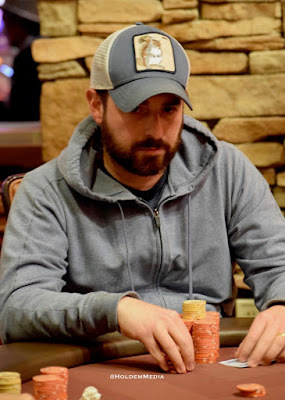 Here's how the final payouts worked out, with Michael Loncar (above) one of the final three. Travis Fujisaka took home the top prize in the WTPDeepStacks Series Event 10 - today's $235 Stacked with a $10,000 guarantee. Here is the adjusted payout table the players agreed to. 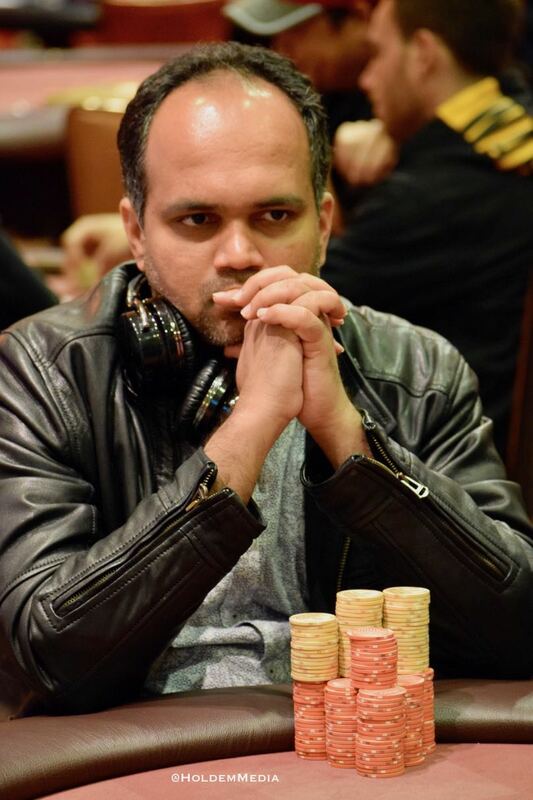 Prasad Inamdar was up to 1,500,000 but dropped a huge pot to Niv Decalo when his straight draw missed. The chips kept slipping away and he just moved all in for his last 8BB with 8T, called by the 6-6 of Kieng Lieng and .. the K-K of Alex Greenblatt. Greenblatt holds and the night is over, the final table all set. There's not one but two 8's on the flop, a Ten on the turn and Inamdar goes Boat Don't Lie, tripling up, with Lieng losing out to the Kings' of Greenblatt. 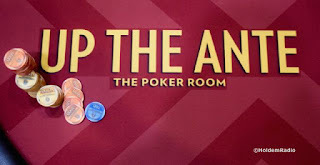 Event 11 in the WPTDeepStacks Series - $160 with $50 bounties - drew 100 entries for Easter evening. Here are the payouts. 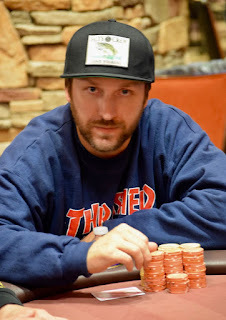 Lance Oliver's chips head over to James Maxey and Oliver is out in 13th place here in the WPTDeepStacks Main Event. 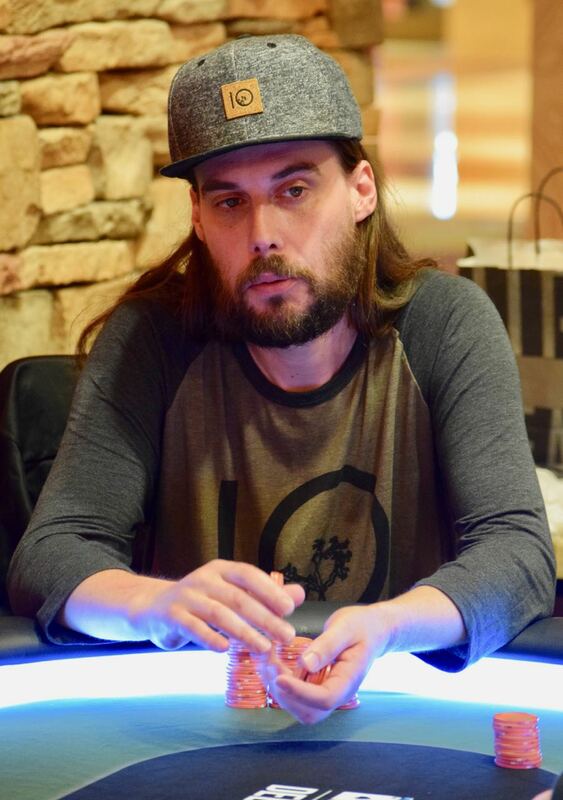 Oliver cashes for $5,830. 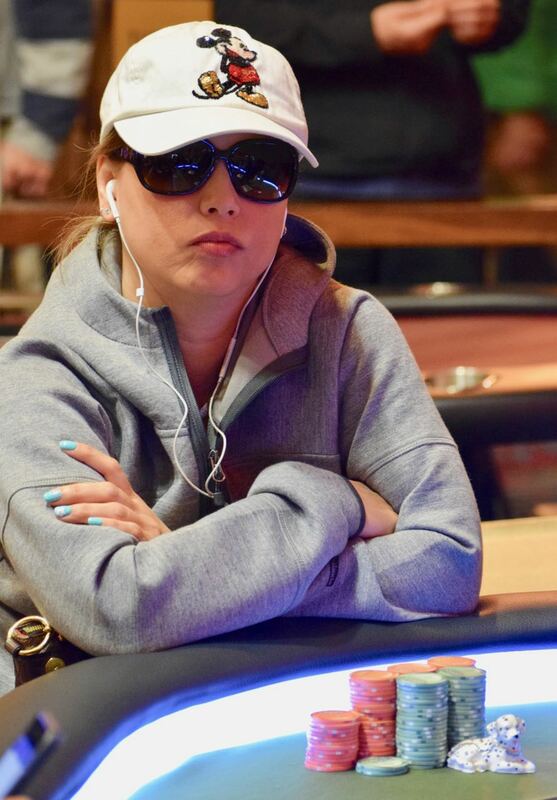 There's three more eliminations before the end of the night, and Mimi Luu is not one of them at this point. The sounds of "Yes, Baby Baby," just erupted from Table 2, so Mimi just doubled up. 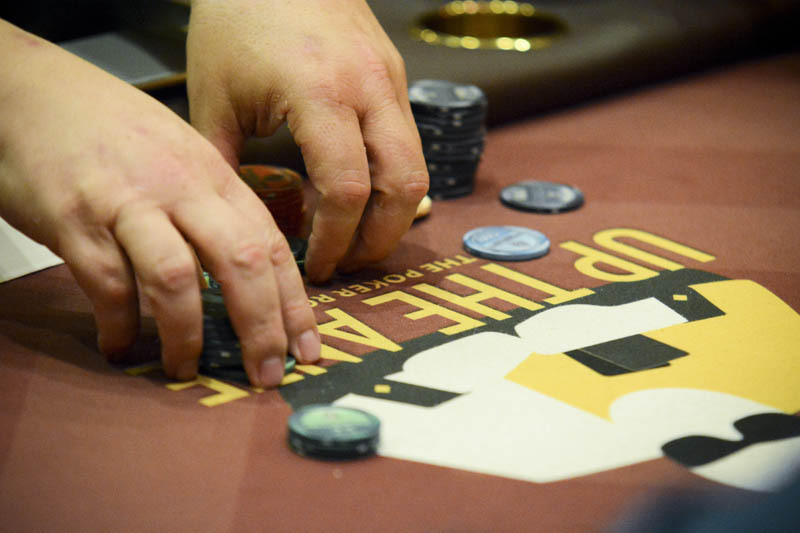 There's a three-way all-in, creating about a 600k pot as three of the tournament's short stacks all move in, and they all have big hands. There's an Ace in the window, no two-outer comes for either Evans or Barad. 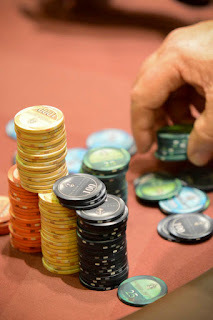 The dealer counts out the stacks and Eisenman has both players covered. 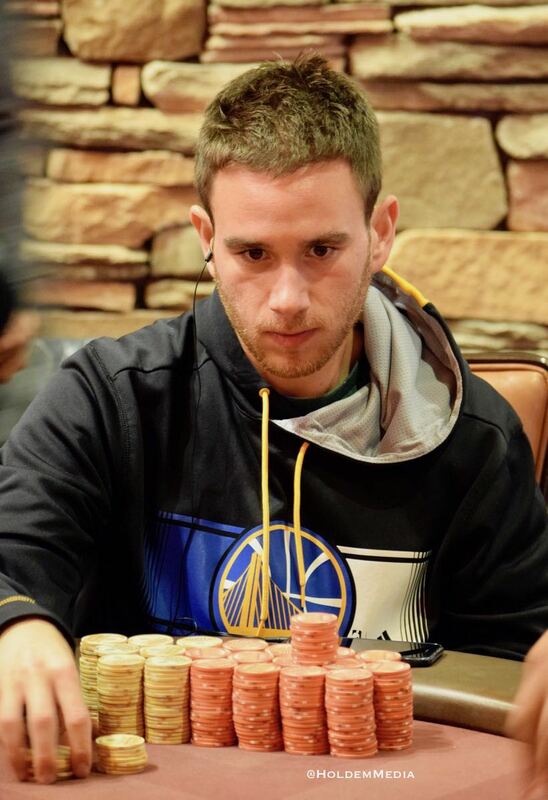 Barad had more chips to start the hand than Evens, so Barad cashed in 14th and Evans 15th. 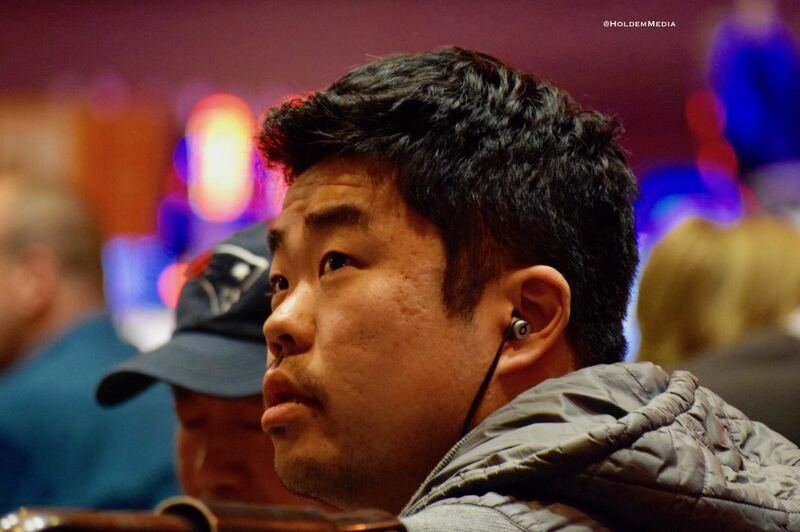 The final 16 players in the WPTDeepstacks Main Event are on their final 15-minute break of the day. 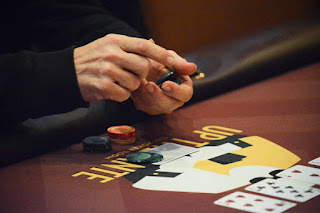 They are playing down to the final 9, then bag-n-taggin to come back Monday at noon for the final table. Here are the players who finished 19-27th today. Down to 8BB, Kelly Douglas moves all-in preflop with QT and runs in to the KQ of Dann Turner. There's no Ten, the river Queen means Turner's better-kicker plays and Douglas is out in 17th, cashing for $4,785. 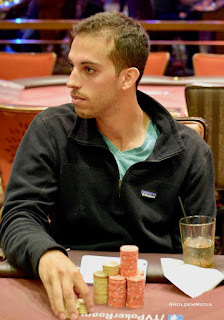 Alex @Greenblatt1 went to dinner break as chipleader with 23 players left in the WPTDeepStacks Main Event. Play resumed a few minutes ago, down to 22 now and Greenblatt has an even-bigger chiplead. 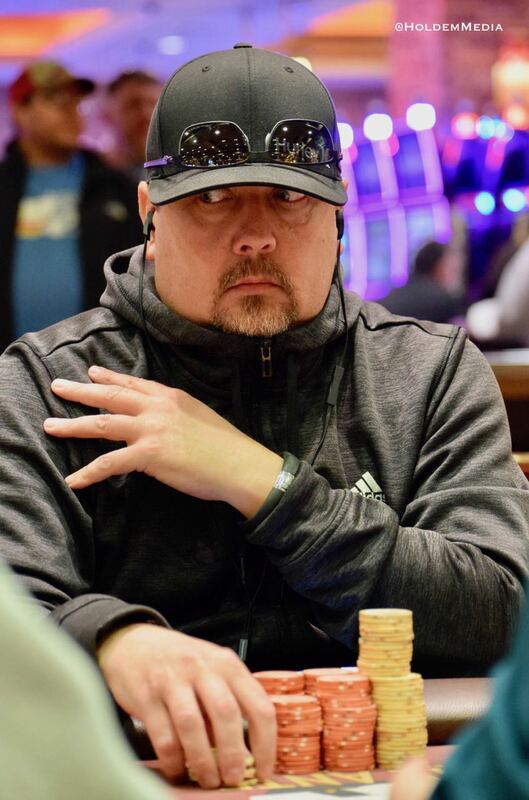 He's the First-to-a-Milly as he turns a full house against David 'Beast,' Valdez and all the chips end up in the middle on the river. 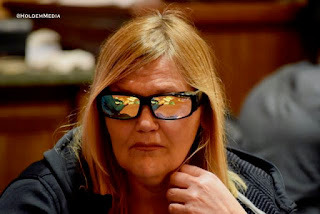 Kenny Lee has JJ, Kathy Stahl has QQ, there's a Jack on the flop and Lee doubles through Stahl in a 500,000 pot just a few minutes before dinner break. Here are the players who cashed in 28-36th place in the April 2017 WPTDeepstacks $1100 Main Event. 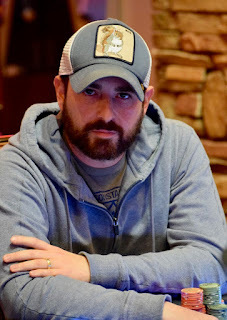 Event 10 in the @WPTDeepStacks Series - $235 Stacked with $10,000 Guaranteed - drew an 81-entry field. here's the payouts for today's 1pm tourney. 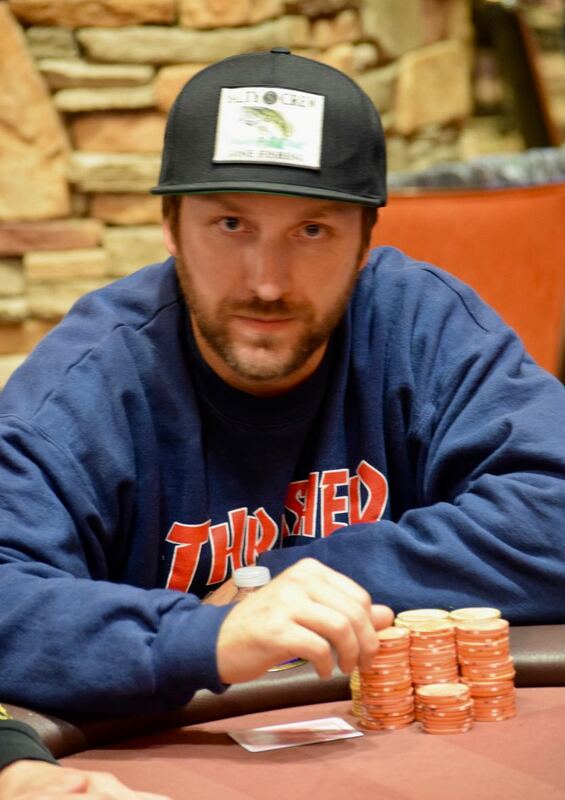 Down to 27 in today's @WPTDeepStacks Main Event. 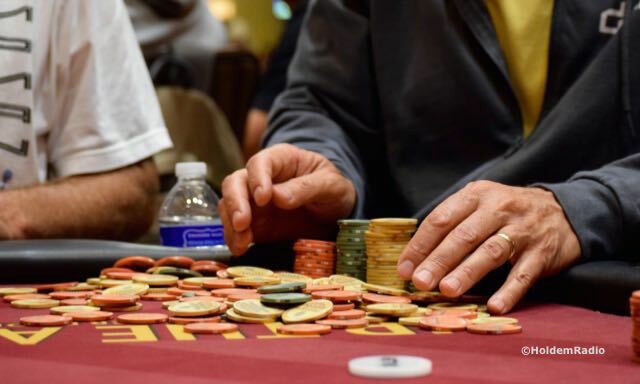 here are the final 27 by table, seat and chipcount. 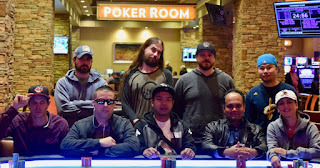 Here are the players who cashed in 37-45th place in the April 2017 WPTDeepStacks $1100 Main Event. Players are on a 15-minute break, 31 remain, 4 away from a 3-table redraw, playing down to 9 tonight. There's an open to 27,000, a call from Alex Greenblatt, a flat from the player on his left, then Ben Barad makes it 82,000 from the SB. The original raiser calls, as does Greenblatt, with the fourth player reluctantly finding a fold. The flop comes out . 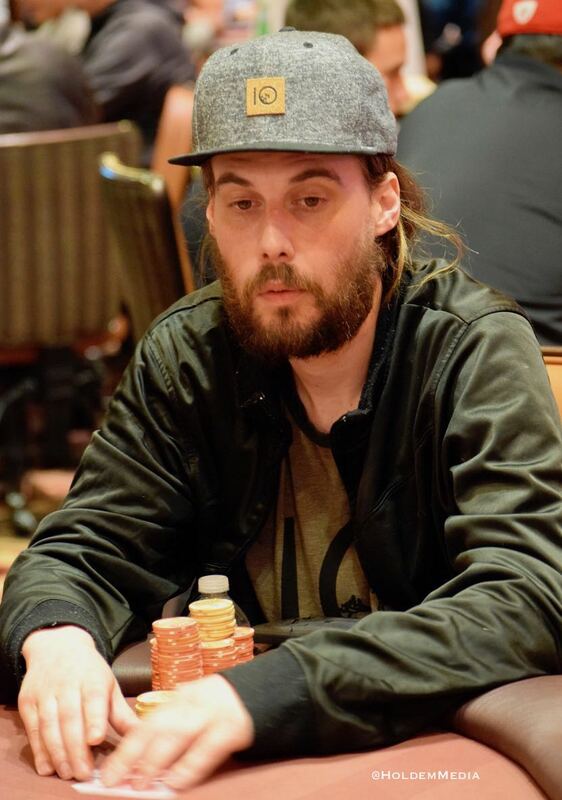 After about 45 seconds, Barad slides out a 105,000 bet. About twice that amount of time goes by before his first challenger folds. 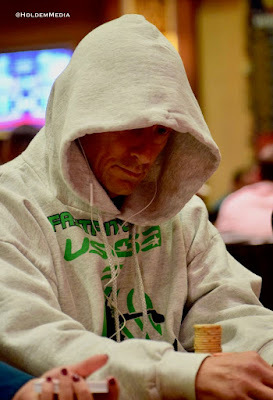 Barad has 275,000 behind and Greenblatt 475,000 behind ... Greenblatt debates for less than a minute .. then releases his hand.